As Florida’s leading provider of testing for the medical marijuana industry, Modern Canna Science (MCS) is committed to offering product testing that allows you to make informed growing and dispensing decisions and comply with regulations. The state of medical cannabis legislation is constantly changing. At Modern Canna Science, we assist the Medical Marijuana Treatment Centers (MMTC’s) who grow, process, and dispense products, to ensure medical cannabis products meet the latest and highest quality and safety standards. A wave of marijuana legalization has swept the country; many states have either already legalized or are actively working towards legalizing the use of medical cannabis and derivative products. Regulations are inconsistent from location to location and in many states, they have not been finalized. MCS promises accurate testing that assures compliance, especially once the state of Florida finalizes regulations and issues contaminant limits for medical cannabis. Even where the standards have not been clearly set, independent testing is crucial as a testament to a supplier’s commitment to safe and high-quality medical marijuana products. Quality testing from an independent cannabis laboratory adds legitimacy in a growing market where poor products may slip through unnoticed. Microbial testing – Ensure safety by testing for pathogens and other harmful microbes. Cannabinoid testing – Know the potency and cannabinoid makeup of a plant or product with the use of High Performance Liquid Chromatography. Pesticide testing– Protect users from potentially high levels of pesticide chemicals like insecticides and fungicides with our use of liquid chromatography mass spectrometry and gas chromatography mass spectrometry. Residual solvents – Be sure concentrates are free from impurities left behind from the extraction process with industry-leading technology including gas chromatography headspace analysis. 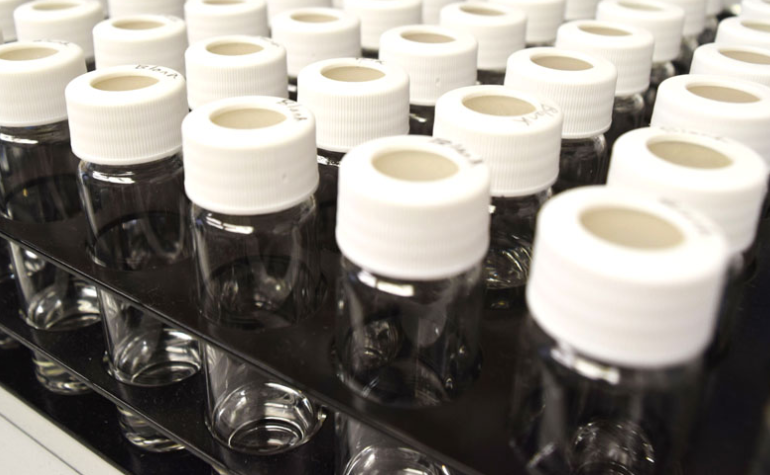 Mycotoxin testing – Eliminate secondary metabolites of molds and fungus, which can weaken the immune system and present other health problems; we use liquid chromatography mass spectrometry to detect and measure levels. Heavy metal testing – Protect users from contaminants passed through soil and water; our laboratory techniques can detect heavy metals at concentrations as low as one part per billion. Genetic testing – Understand the genotype and phenotype of your offerings with a genetic analysis by our proprietary state-of-the-art DNA sequencing analysis. Flavonoid testing – Measure the components affecting the sensory experience of a strain with our analytical testing. This means state medical cannabis regulations can impact nearly any business or individual involved in the process, from the plant grower to the hash oil seller to the doctor who dispenses medicinal marijuana products. Aligning with Modern Canna Science in Central Florida means you can put your trust in a Florida laboratory that is up-to-date on state marijuana testing standards and regulations. Serving patients’ health and welfare carries a lot of responsibility. Trustworthy independent testing is an important step in safeguarding patients from unhealthy components or contaminants, or even inappropriate potency. We serve the entire Florida medical cannabis community from our offices in Lakeland. We not only offer state-of-the-art laboratory services, but our technicians are equipped to help clients understand other areas of compliance like accurate record-keeping. To speak with a professional about our cannabis consulting services, call us today. Great Laboratory for all testing needs. Website is extremely helpful regarding testing procedures and even general industry information!